FreeKB - Resolve error "MachineToApplication beyond application level" Resolve error "MachineToApplication beyond application level"
After publishing an project, error "MachineToApplication beyond application level" or "This error can be caused by a virtual directory not being configured as an application in IIS" appears. In IIS, locate the website that is producing this error. 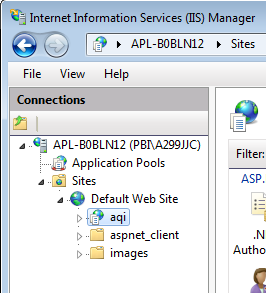 Notice in this example, IIS displays a folder icon. This implies the files are a virtual directory and not an application. In the convert to application pop-up box, select OK. 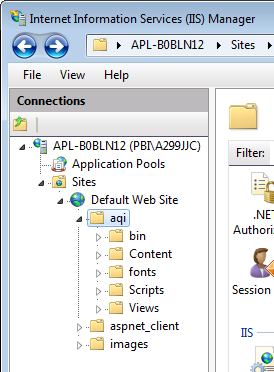 If the icon updates from a folder to a globe, the website is now an application, and the error should no longer appear.